Stone humans of Stone gods took the nutrition from these pots in which the juice was put and which were put on the heads of Stone humans. When the juice disappear, Stone humans turned into the soil. 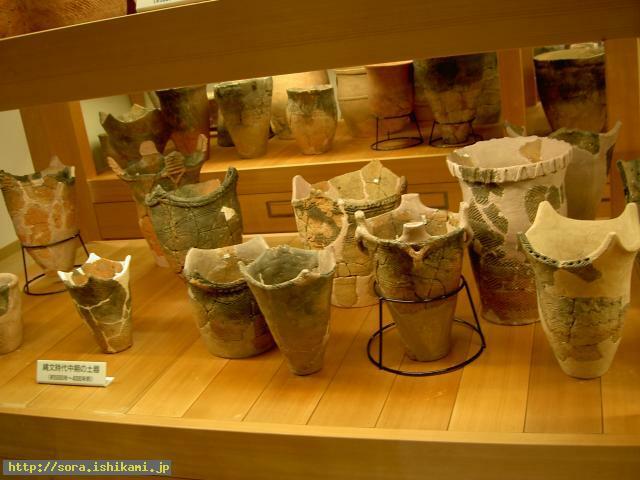 However the pot-like containers were used by humans. The bottom of those pots are not stable for human use. The earthenware whose bottoms are sharp are found not only in Japan but also overseas. Huge pots were used by giants. These pots have no openings.